In my opinion, the qualities of objectivity, detachment, idealism, and asceticism are important aspects of a true spiritual leader. Nirmala Devi's hands show that there are all kinds of spiritual leaders, even the practical types (see pictures of Mataji's hands here), just as there are business types such as Baba Ramdev. The qualities of calmness and objectivity are not present in Mataji’s hands, despite her general pragmatic and broad approach to issues (shape of hand). Her hands show her to be fairly emotional (mounts highly developed) to the point of being temperamental. Her hand also shows the presence of ego, and someone concerned with status symbols (setting of Apollo and Jupiter fingers plus shape of the finger phalanges). Her hands also show a domineering nature (Jupiter phalanges). Her fingertips, and the shape and setting of her Headline show little idealism. What is disappointing is that Nirmala Devi does not have a particularly strong Saturn finger and the mental qualities of this mount (philosophical thinking) are not developed well enough if one considers her vocation. In contrast, gurus like Osho Rajneesh had extraordinary insight even if they had much less integrity. Another drawback is that although Nirmala Devi's hands show a sympathy for the underdog, there is evidence of an inherent coldness. A deep-seated love for humanity is not seen in her hands (Venus shape, thumb setting and Heartline) and nor is unselfishness, and this is in contrast to the hands of say Sri Sri Ravi Shankar. However Mataji's hands also show that in the latter half of her life she became less cold and reached out to people more than she did earlier (Venus shape changed) although her inherent nature did not change. I don't know what is the motivation for people to visit religious saints. I have never found the reason to do so. So, I have never tried to analyze anybody! Often people visit these "saints" after suffering a tragedy in their life. I personally know of people who have done so. At times people are just searching for a deeper meaning to life, and try this method too. as an avid reader of ur forums ..i would like to clear my doubt on how you determine traits like idealism or intelligence and the exact kind of it..does it depend on a whole on the head line or the shape of the hand or the development of the mounts(which u also associate with temperament) which in my experience has not always been the certain indicator knowing the person ...what i believe is that the head line is more concerned with application of the mind ...indicating other qualities like concentration and so forth...so in some cases even though a person does not hold that quick grasp of a subject ..but born with a longer head line will strive to eventually understand it...in her case the fingers seem to be too thick to allow her to think beyond a specific realm of things...so even though she may have been born with a good mind...her thick fingers do not ascertain her with abilities to enquire much deeper into matters...and i think ull agree with me..on that aspect..
another question on osho's hand ....the pictures u posted of his hand which i have observed previously from thousands of photos available on net also indicate him to have a simian line(if i have observed right) ..i wonder if u culd shed some light on that aspect of his hand...because modern palmistry has hold that line in great significance...relating it to some psychological disabilities and a another theory relating it to be a reflection of a character that holds kind of dogmatic ,stubborn traits which propel a person to reach his goals with single minded determination...which i politely refuse to accept cause i know many people which have this head line ..are not least of all stubborn..or hold any special traits that is associated with this type of line...sure ull mention the thumb and its placement and the mars aspect but ..the theory fails in itself altogether doesn't it?. and also in osho's right hand...he seems to possess the sydney line( a very long head line) often found on people who seemed to have possessed the simian version of it. i want u shed light on what's your interpretation on this type of head line. Altantis, when I determine a trait like intelligence I take into account primarily four aspects of the hand. Headline, Mounts, fingers and shape of the hand and at times also texture of the hand. When it comes to the headline I take into into account its shape, its balance and its quality. When it comes to mounts and fingers one has to see which part of the fingers are developed, whether they are slim or fat or broad or thin, when it comes to mounts one has to see which mounts are developed because some mounts like lower venus add a certain coarseness to the personality. However someone with a developed lower venus can be highly intelligent as well...it is all about the balance. With experience you learn to balance out all the signs. Also a person with thick fingers can also be highly intelligent because to my mind the headline is also very important. This woman is a highly intelligent one, despite her thick fingers. That is my judgment. However she is not an intellectual. It is very difficult for me to explain this in detail as reading a hand is all about the art and balancing the importance of the signs. The difference between intelligence and intellectualism is also to be considered. And while the headline shows memory and concentration like you said, it also shows intelligence. Atlantis, I am not sure whether you are interested in Osho's hand (which does not have a simian line as you can see in the photo of his right hand) or simian lines in general. When it comes to simian lines in general you have explained the meaning of it quite well. I cannot argue with that. The discrepancy that you mention could happen because of other aspects of the hand. I never ever read any sign in isolation, not even the simian line. Human beings are multi-dimensional characters with layers and layers of personality and they have depths which they themselves may not understand. Humans also behave in different ways in different circumstances. They also have the quality of will and motivation which they apply according what their driving force in life is. For example if a person has a particular bad quality but is say highly motivated he could hide that quality in certain circumstances where he feels it is necessary too...this again depends on his intelligence, cunning etc. Hand reading is intricately connected to human psychology and therefore an understanding of human psychology is essential for those who want to be hand readers. The hand invariably reflects this complexity of humans. No sign is to be read in isolation. The simian line has to be read in conjuction with the thumb and also the mounts and fingers. No single sign is significant - remember that. However signs have relative importance with each other, depending on their strength, and also what the sign is. A suggestion if you want to read any hand. Write down each and every sign on the hand and then give a certain weightage to each sign depending on its strength and what it is (for example a headline is more important than a cross somewhere or the thumb is slightly more important than the headline). Then see if any of the meanings are contradicting each other. See which dominates. Whether one sign is contradicatory or several signs are. Remember that if there is a contradiction it does not mean that the meaning of the stronger sign rules. Think of the personality like a colour palette, with different shades. Also apply finger qualities only to that particular finger, not to all. Yeah sure, but it is his left dormant hand. Osho is right handed and it is the right hand which shows the developed qualities. The left hand shows the past and the only reason one has to read the left and right hands in conjunction is to see how the person is developing or what he had inherited and what are the probable causes of him changing. If we want to know what type of person he was when he died then one has to read the right hand and it is likely that he was like that for years and years. Interesting analysis. I had not heard of Nirmala Devi before and looked her up. She repeatedly declared herself as self-realized several times which immediately leads to some doubt in that regard.A truly self realized 'guru' (not that I'm an expert in this field) will never say things like that but reveal it in interactions with people.I would be interested in reading your analysis about Sharada Devi whenever you can get to it. Thanks Padmini. I agree with what you say about gurus. I think imagining oneself the incarnation of anything divine should by itself be a red flag. However I think in India many people believe in reincarnation and therefore when a guru says he or she is reincarnated they might have a better chance of getting famous! And the problem with reading hands of those who have passed away a long time ago is the difficulty in coming across their hand photos. Thanks anonymous. About the lines..well in combination with the hand shape and fingerprints they do reveal all of one's deepest secrets! When it comes to learning, I personally believe that one's own experience is the best. This is not to say not to read the palmistry books. Read all, each and every one. That is what I did. The very contradiction in them will lead you to find your own path and use your own judgment. About my hand, well I have fingers on the shorter side and a fairly broad palm, a long headline with a few tiny islands in the first half, and a long forked heartline with a small overlapping break. My headline has a small triple fork, similar to Bernard Shaw's hand. My life line is not very strong and seems to fade out by the forties but a fate line gives it support. I have two fate lines, one close to the life line which ends by the headline and another main fate line which goes right up to the mount of saturn. This fate line is very strong and deep, as strong as the line of head and heart. The Sun Line is weak until it crosses the heart line and then it is strong. I do not have a broken mercury line. I also have a fairly flexible hand, but not too flexible and square tips. All my fingers are straight. Sorry, I meant I have a broken mercury line. Also the fork at the beginning of the heart line is not large, but medium. and about the details u giv me about ur hand.. your head line plays pretty dominant rite ? n two fate lines is good..like sister lines..and the thing about triple fork..is that a trishul ?? i saw somewhere fate line from mount of moon all up to saturn finger,making a triangle (small one)with sun line and line of head in between... im clueless how to interpret it.. any says?? The fork is not exactly like a trishul as the branches from the headline are slightly curved. As for triangles and such, forget it. Read each line separately for what it means. it would be great if you could read Baba neem karoli's hand. It would be great if you could analyze Baba Neem Karoli's hand. Thanks Sujata, Will check it out. Let me repeat, this post is written after reading her hand. If you have any disagreement about this post, kindly furnish a palmistry argument and I am willing to debate the issue. If you do not believe in palmistry, please do not read or comment on this forum. Just like you have the freedom to believe in this lady, there are those who have the freedom to not believe in her. 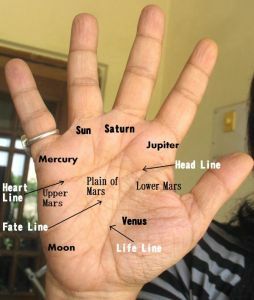 There are also those who believe in palmistry. So just learn to live and let live my friend and I hope this lady can teach you that. All the best and I hope this woman provides the enlightenment you deserve. Each to his own. I am continuously getting abusive comments from a fan of Nirmala Devi. He is insisting that he will abuse me everywhere because I do not agree with his opinion of Nirmala Devi. This is what our country is coming to. Men abusing women at every opportunity they get, but revering the "god" women. Dear Nita, I am a regular reader of your blog and I suggest that you ignore any personal or rude comments. You are a gentle person, very refined and you are also an amazing palmist and hand reader, that I know that from your reading of my hand. When it comes to people abusing others on the internet without having to face them in real life, we know that they are called "trolls." They are filled with hatred and mostly target women whom they perceive as weak. I agree with you that he is targeting you because you are a woman. Thanks TN. I agree that abusing and threatening me is deplorable. 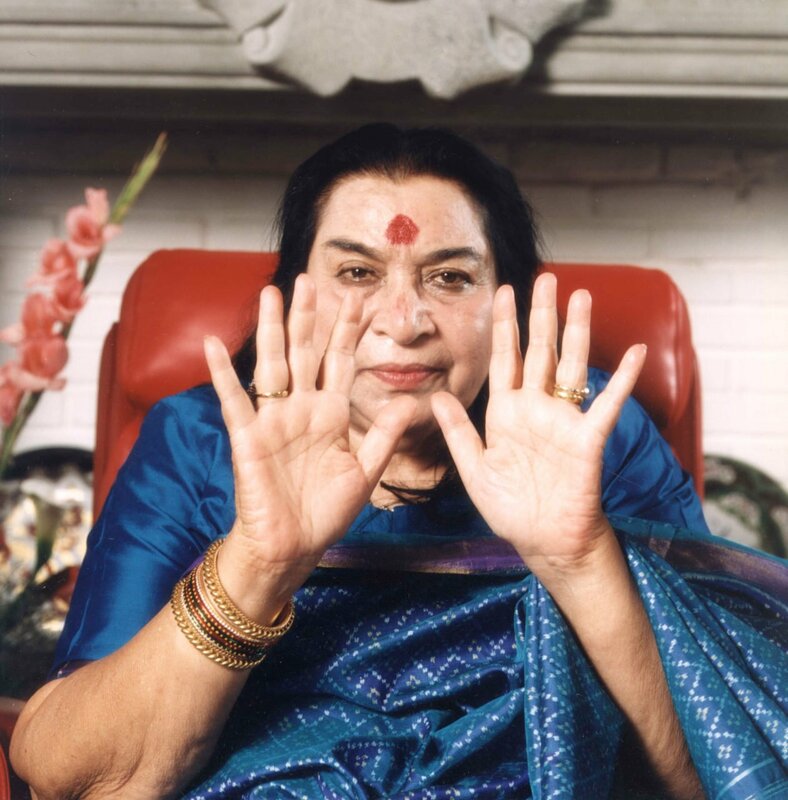 I follow Shri Mataji from last 20 years and have had multiple spiritual experiences. have you ever tried to experience what Shri Mataji has taught..? No. Not a single reading on this blog is from personal experience. This blog is not about personal opinions. It is what I see from the hand only. As regards my readings of spiritual people I am sorry if anything I read from her hand hurt you because that is not my intention. You are free to reject my reading if you believe your personal experience belies it. After all, every person has his own unique experience. However, personal opinions whether positive or negative do not influence me. Do you mean to say that Osho was smarter than Nirmala, or that he was more of a philosopher as compared to her? Ironically, I have read that Nirmala found Osho to be deceiving people though as a follower of Osho's lectures on YouTube I never found Osho to be a fraud in any sense. It is very difficult to compare their intelligence levels without seeing their actual hands or at least, high resolution photos of their hands which will allow me to read the lines better. That he was more of a philosopher, of that there is no doubt.